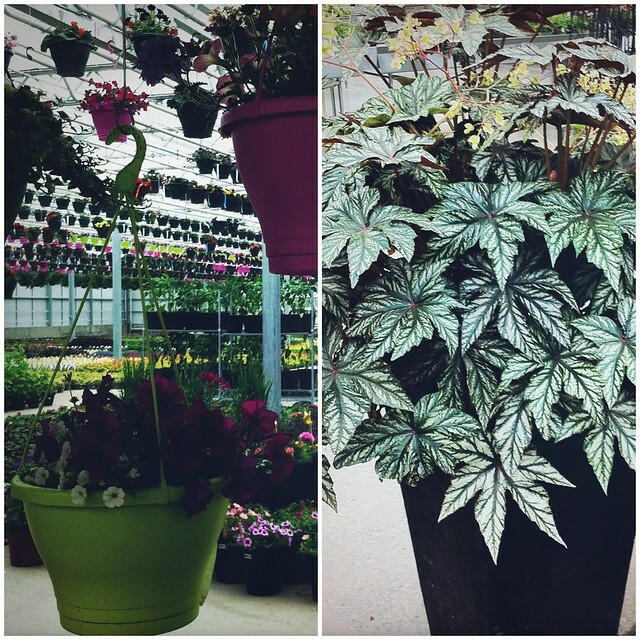 My backyard garden was calling for some hostas, salvia and lavender plants so, Scotty and I made our way to the Hole family's Enjoy Centre, a stunning new greenhouse complex built on Riel Drive in St. Albert. And let me tell you peeps, once we got there... enjoy we did. 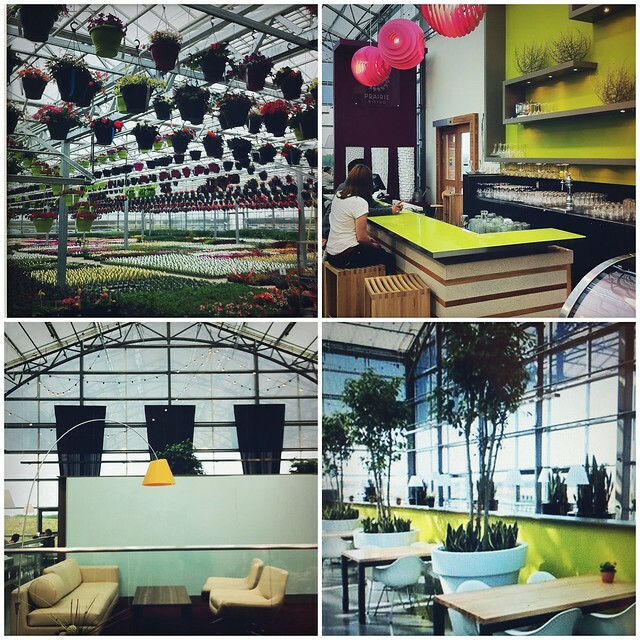 EC is a gorgeous space with cathedral-sized greenhouses, vaulted-glass ceilings and a fresh, airy contemporary feel. It's beyond impressive. 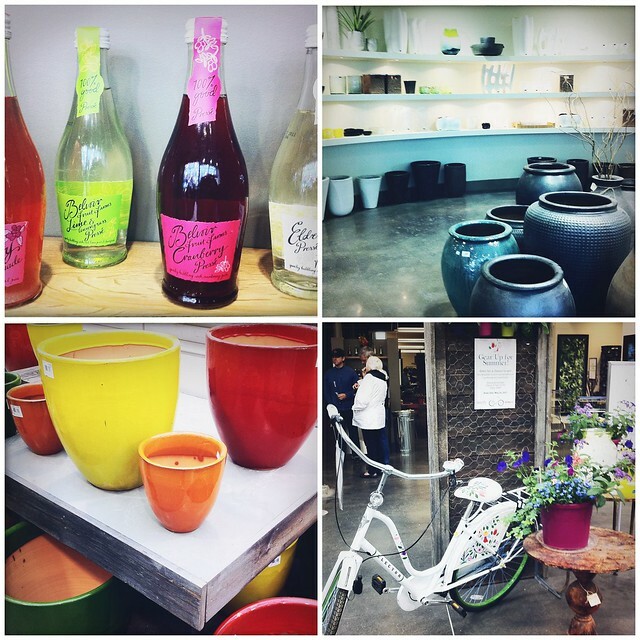 I could have spent hours lingering over the countless planters, vases, flowers, greenery, books and art. Yes, art. And heaps of it. This is much more than just a place to buy plants and gardening tools. Take a look-see. There's a café on-site devoted to local food, the Prairie Bistro, where we ate the most delish pulled lamb panini with grilled leeks & mint marmalade... yum. In addition to the 140 seats inside, there are 90 seats on the patio (overlooking Big Lake), as well as an ultra chic lounge perfect for drinks, tapas and girl talk. Cocktails with botanical ingredients anyone? A bakery, deli, spa (! ), wine store and gift shop are set to open as well. Edmonton ladyfriends: we can meet for lunch, shop and then head to the spa. Whaddya say? While we were walking around this sublime green thumb emporium, Scotty said to me, "I'm not even a gardener and I think this place is amazing." I hope you have an opportunity to check it out for yourself. It's truly a sight to behold. Dajana, that cafe is gorgeous! Love the decor ;) This place looks amazing! Thanks for introducing this amazing looking place to me D. I plan on checking it out. I see some things in your photos I would love to own and some unique planters, which are just my thing. I was there on Sunday and it is truly awesome. Bought my pink petunias. Wowzas! How have I never heard of this place before, it looks amazing!! A must-go indeed, thanks for the intro, D! Love this! I knew Hole's had moved, but had no idea how fabulous the new digs would be. Lunch date, oh yes!